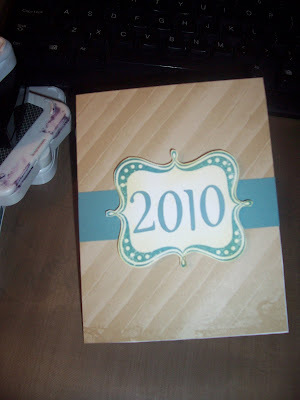 Creative Scraps by Peggy Lee: GoodBye 2009-Happy New Year 2010!! GoodBye 2009-Happy New Year 2010!! 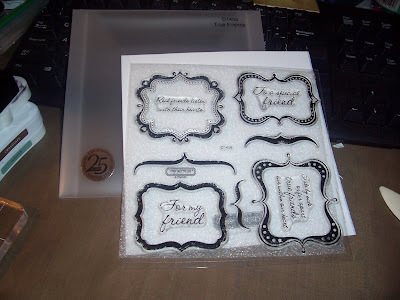 I created a little card for the main event: I made this card with the Close To My Heart Stamp of the Month stamp set: True Friends (D1406) Twilight cardstock, ink., White cardstock, Notebook paper. 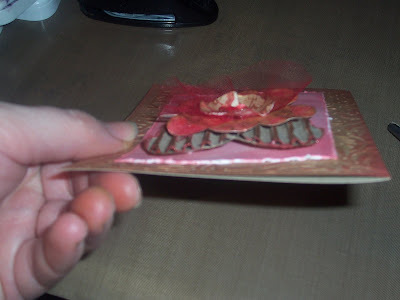 Creative Scraps scrappin the old year away and ringing in the New Year of 2010!! 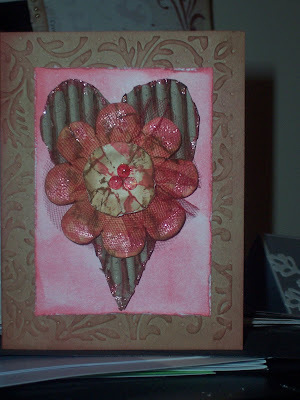 this card was so fun to create-Lynne and I played with some cardboard and this is what I came up with a heart and flower(was a stamp) the circle flower was a circle punch. A little creativity and distress inks and stickles!! 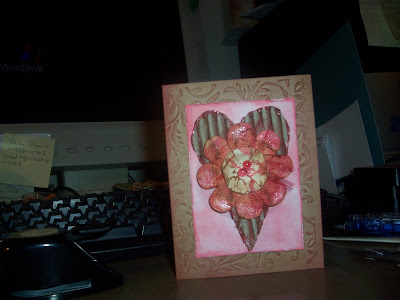 (Tim Holtz products) I will be making some Valentine Kits up and this will be one the cards!!! yummie eye candy!! 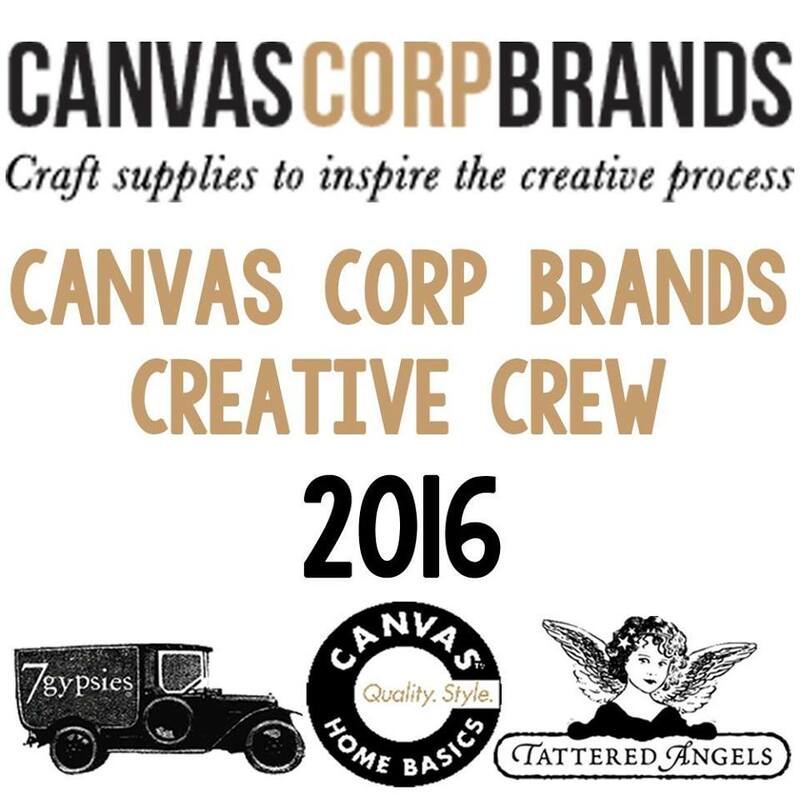 Peggy...that came out AWESOME!!! you rock girl!! !